Scene Safety Assessment Universal Precautions - Communicable Disease Protection, including barrier use Primary Assessment Rescue Breathing Cardiopulmonary Resuscitation (CPR) Conscious and Unconscious Obstructed Airway Management Serious Bleeding ManagementShock Management Spinal Injury Management. 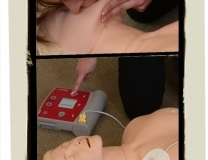 Recommended Skills Automated External Defibrillator (AED) training & Emergency Oxygen Use Orientation . 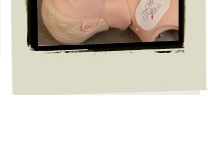 EFR Secondary Care (first aid) covers injuries or illnesses that are not immediately life threatening. Participants focus on secondary assessment and first aid through knowledge development, skill development and realistic scenario practice. Secondary Skills taught in this course: Injury Assessment, Illness Assessment, Bandaging, Splinting for Dislocations and Fractures. An AED is a portable electronic device that automatically diagnoses some life-threatening cardiac conditions, allowing the heart to reestablish an effective rhythm. The course duration is one day or two evenings. Emergency First Response (EFR) 1st aid course, Canary Wharf, London.